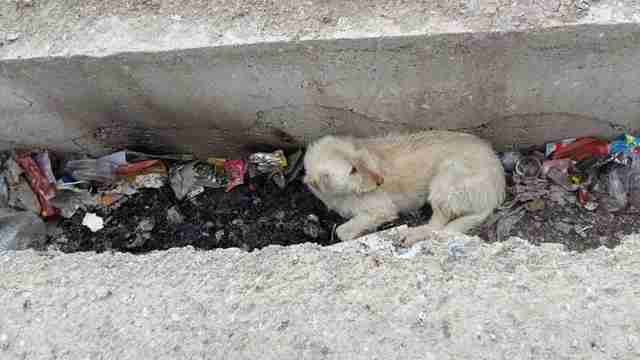 Everyone knew Goat the dog desperately needed to be rescued — but Goat wasn’t so sure that was a good idea. 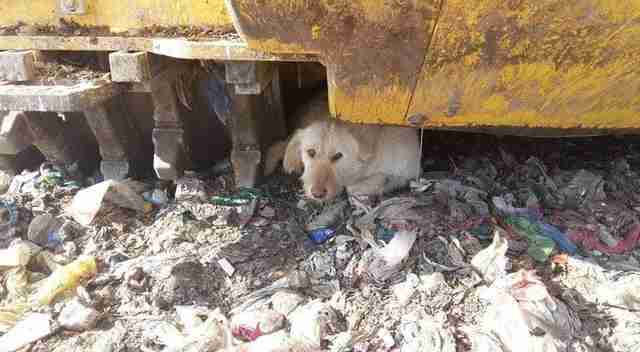 This past January, Goat was living in a landfill in Corum, Turkey, along with about 800 other dogs. Life is tough for the dogs at the dump — they have to search for scraps of thrown-away food, and bury themselves in the garbage to stay warm. 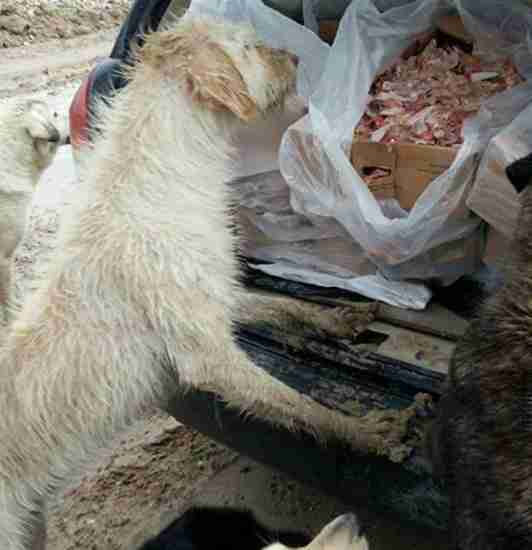 Many of the dogs end up dying from starvation or disease before rescuers can help them. For the last four years, a woman named Gokce Erdogan has been visiting the dump to feed the dogs and treat their injuries, and last year, a group of American women formed Rescuers Without Borders to help Erdogan with her efforts. They also started pulling dogs from the dump to rehome them in the U.S. When the team first saw Goat, who was walking around with a severe ear injury, they knew they had to help her. But Goat was hard to catch. She was terrified of people, and hid anytime someone came close to her. When the team finally caught her, they delivered her to the local vet, who stitched up her ear. After this, Goat was meant to go Patim Pet Pansiyon ve Pet Nakil, a boarding facility in Istanbul. 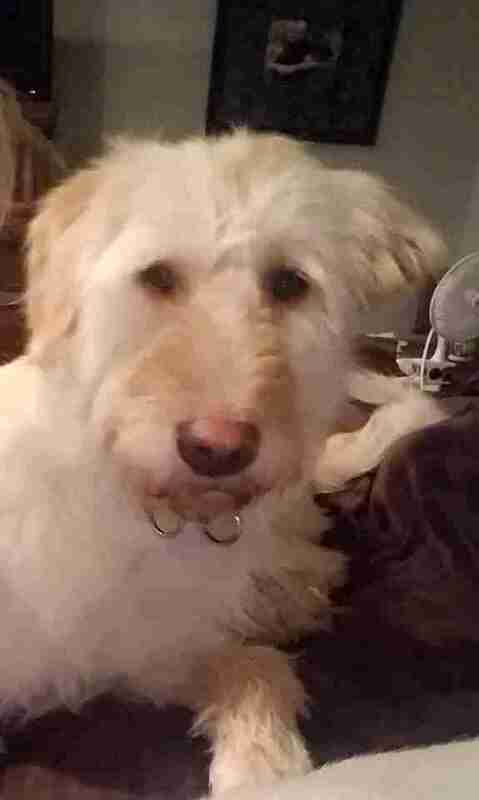 However, the journey would take over seven hours, and the rescue team couldn’t immediately get a pet taxi to drive her there. So Goat temporarily went to a different boarding facility in Corum. Goat spent about two weeks there before she escaped — she chewed right through the plastic coating of her enclosure’s wire frame, then bent the wire enough to wriggle past it. To everyone’s great surprise, Goat appeared back at the dump a few days later. The boarding facility had been a half hour’s drive away, so everyone was amazed and bewildered that she’d found her way back. The team actually wondered if Goat had a secret litter of puppies, so they watched her carefully for the next few days. But they never found any puppies, and they’d later learn that Goat had been spayed as part of a local effort to sterilize and vaccinate street dogs. They tried again — they caught Goat and took her back to the Corum boarding facility, and tried to expedite a pet taxi to Istanbul. But before the pet taxi arrived, she escaped a second time. 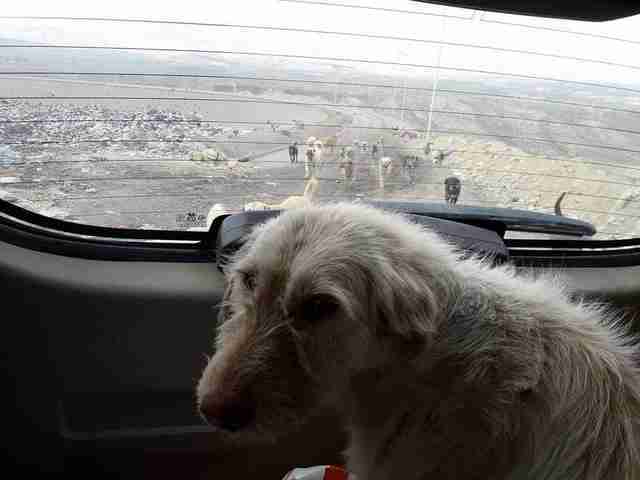 Eventually, Goat turned up at the landfill again, but this time, she was in terrible physical shape. So the rescue team made one last attempt to help her. When they caught her this time, they didn’t take her to the Corum boarding place, but had a pet taxi waiting to take her directly to Istanbul. Biraz uzun olcak cunku coplugun tarifi cok zor.. Keçi çöplükte iki yıl önce tanıştığimiz ilk cocuklarımızdan.. uzaktan kuyruk sallar, can atsa da sevilmek için dokunulmasini istemez kendisine. Coplukten ilk aldigim da kacmasin diye bagajda yaninda oturmuştum. Öyle tedirgindi. Bilmiyordu yepyeni, çok güzel bir hayata kavuşması için aldığımızı.. Neler yaşamış daha önce? Kaç tekme yemiş? Bi lokma yemeğin derdini yaşarken kaç kere kovalanmış.. Tahmin ederiz en fazla, anlayamayiz. Güvenemezdi ki.. maması, suyu önünde olduğu halde pansiyondan kaçtı. Kaçtı ve yürüdü.. yürüdü.. yürüdü.. çöplüğe gitti. Düşünsenize evi biliyor "çöplüğü". Hiç hak etmezken pisliğin içinde uyuyup uyanmayi, o çöplüğe ait olduğunu zannediyor. Çünkü sevildigini zannederek kuyruk salladigi insanlar tarafindan oraya bırakıldı.. Bir daha hiç çöplük görmemeni dileyerek ikinci kez kucakladim seni Keci, sabret💙 Biz yaninda olmak istiyoruz, kendine şans ver. Inan.. "mucizeler var"
A few weeks later, Goat flew to the U.S. to start a new life. 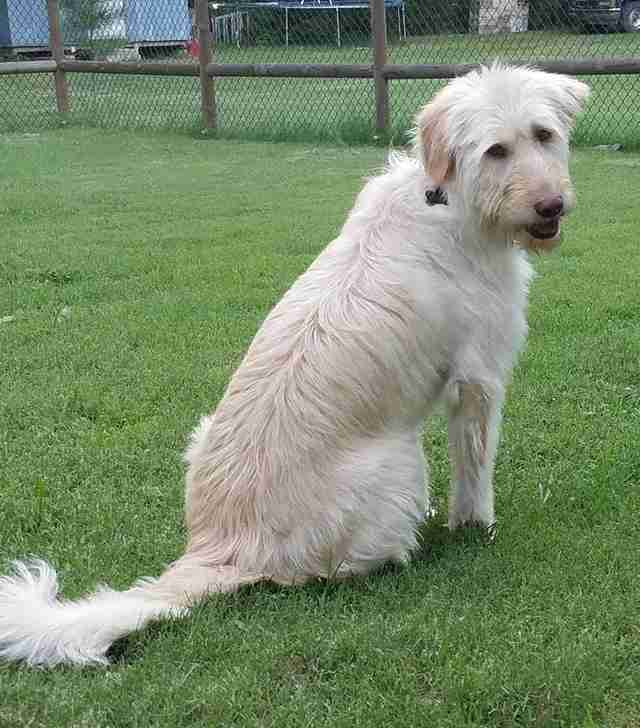 A couple from Broken Arrow, Oklahoma, Lanie and John Zane, had asked to foster her. The Zanes ended up falling in love with Goat, and realized they didn’t want to let her go. 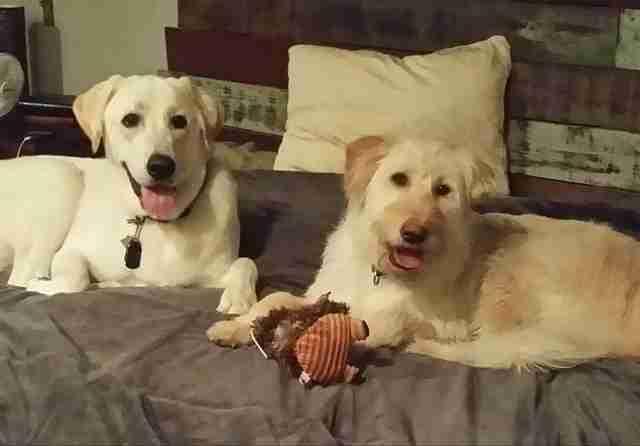 “They ended up messaging me and saying that they’d love to give her a forever home,” Carson said. 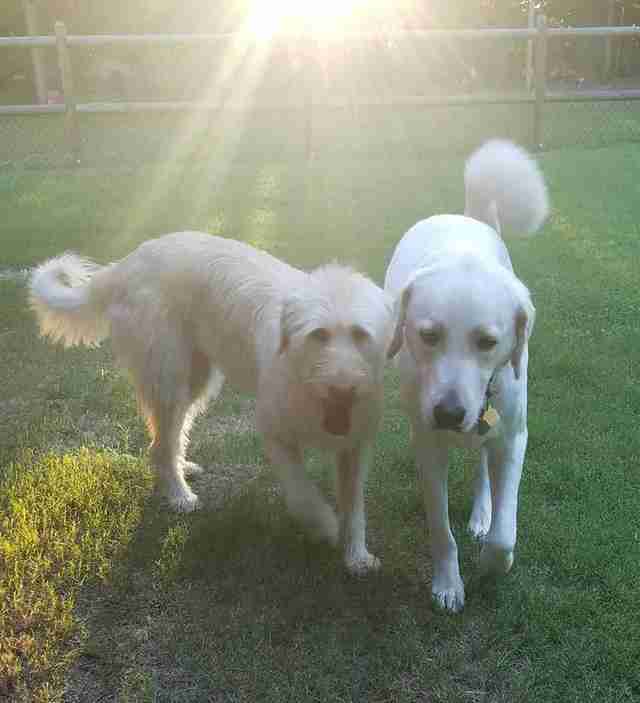 With the Zanes, Goat has transformed into a happy, confident dog. 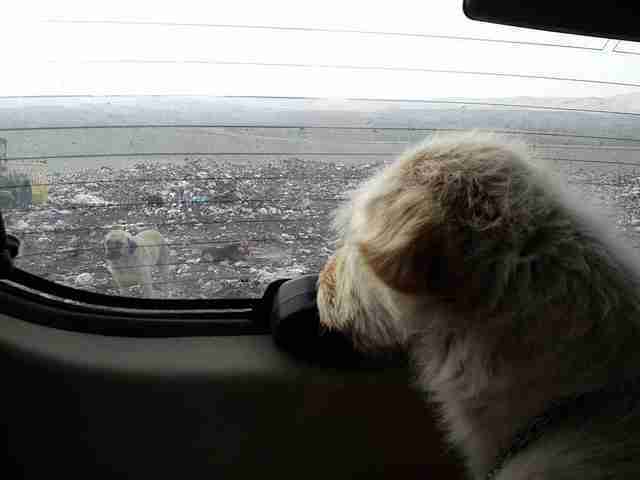 To help rescue more dogs living at the Turkish landfill, you can make a donation to Rescuers Without Borders.